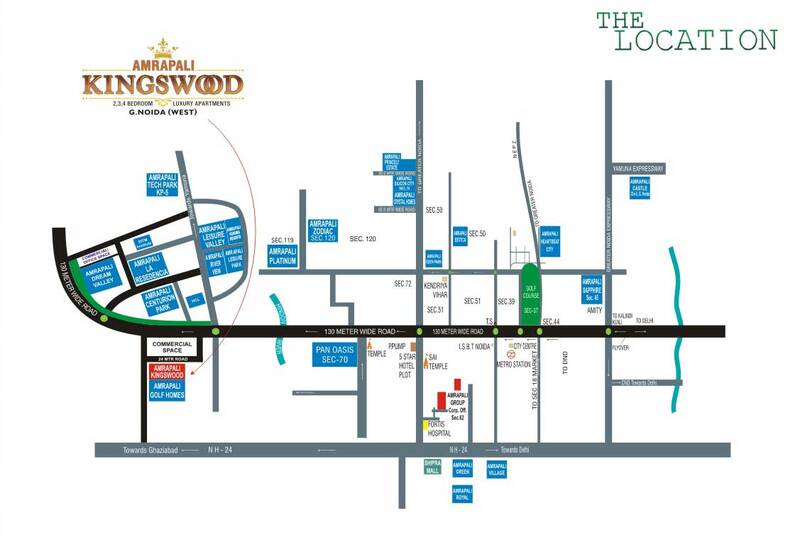 Amrapali Kingswood project is situated at the first round-about in GH-02, Sector 4, Greater Noida West. 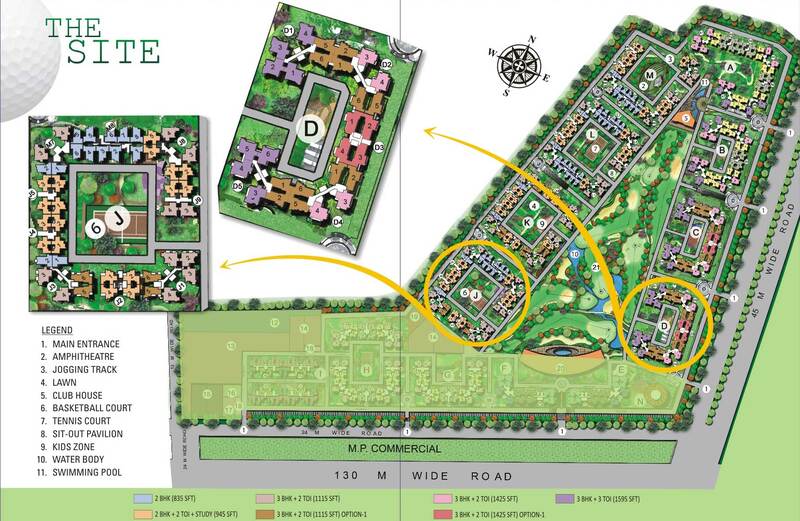 The project is being developed in 60 acres which is only 10 minutes drives from Noida city centre metro station. It is strategically located in the heart of Noida Extension which is less than a minute drive from kisan chowk with proposed metro station connectivity. The project has an exclusive Golf training academy with putting greens to give excellent golfing experience. The project presents a world of luxuries adorned with modern amenities. The concept of Landscape Podium allows one, the freedom to play and celebrate a life safely in a pollution free environment with non vehicle movement. Project is a fine amalgam of high living ensconced not only by the greenery but all the modern amenities. The project is just a stone throw from proposed multi-purpose commercial belt which includes mall, multiplexes, retail, offices etc. It’s just a few minutes’ drive to Ghaziabad Railway stations and proposed Inter State Bus Terminal at second round about of Noida Extension. 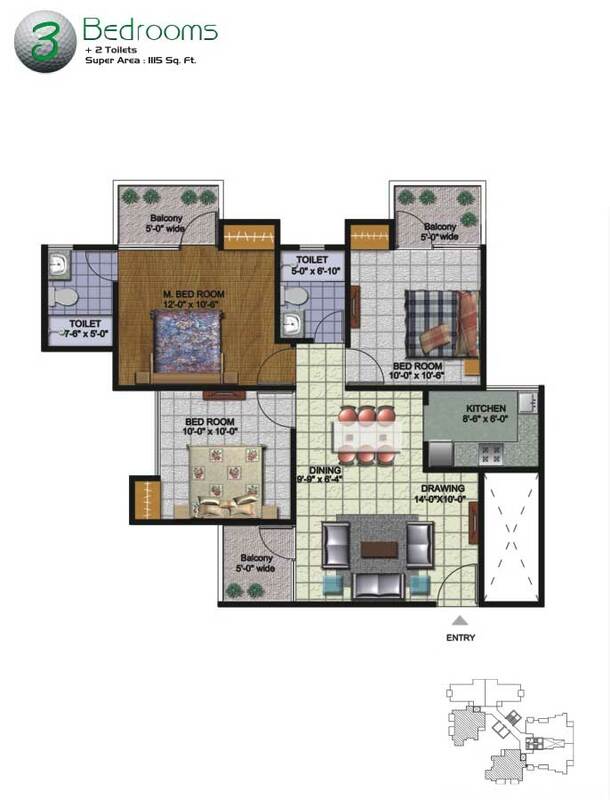 Amrapali Kingswood is designed to bring in quality of life into everyday living. Perfectly planned & qualitatively constructed, it is a treasure house of amicable amenities, lavish luxuries & cool conveniences...all ingredients that go to present a lifestyle tailor made for the trendsetter of today. 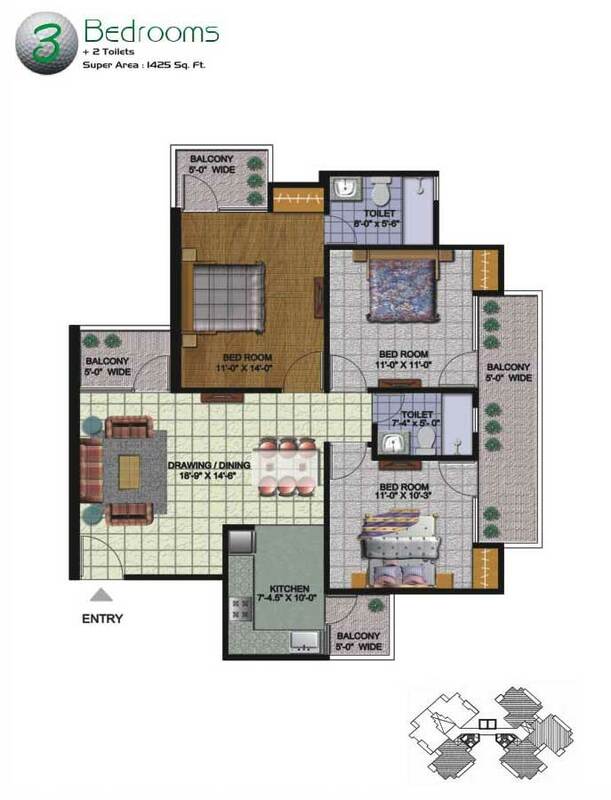 The projects has exclusive state of the art club and offers great recreational and sports facilities. The residents will have access to essential facilities like jogging track, amphitheater, basketball & tennis court, crèche day care center, religious building, billiards & card rooms and meditation centre to enable them to lead a healthy lifestyle. 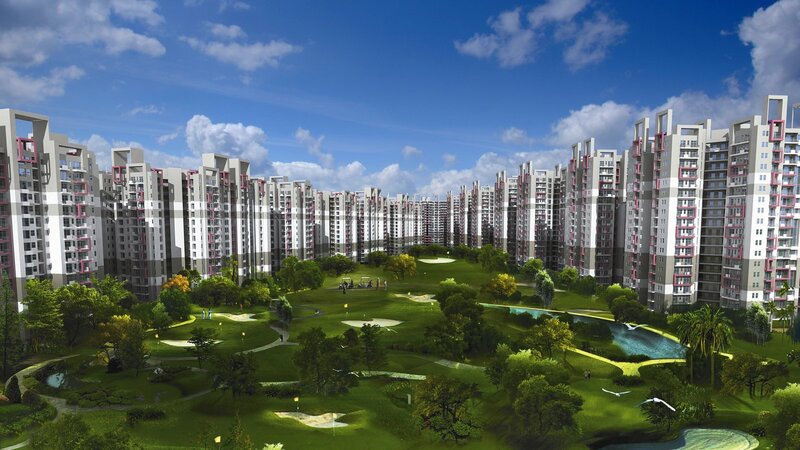 With School, Nursing home and convenience centre within the fourwalls of Golf Homes, the community will live a self – sufficient life. The development has excellent connectivity with all the other regions of NCR through NH-24, FNG, Ghaziabad, Noida, Greater Noida and Delhi. 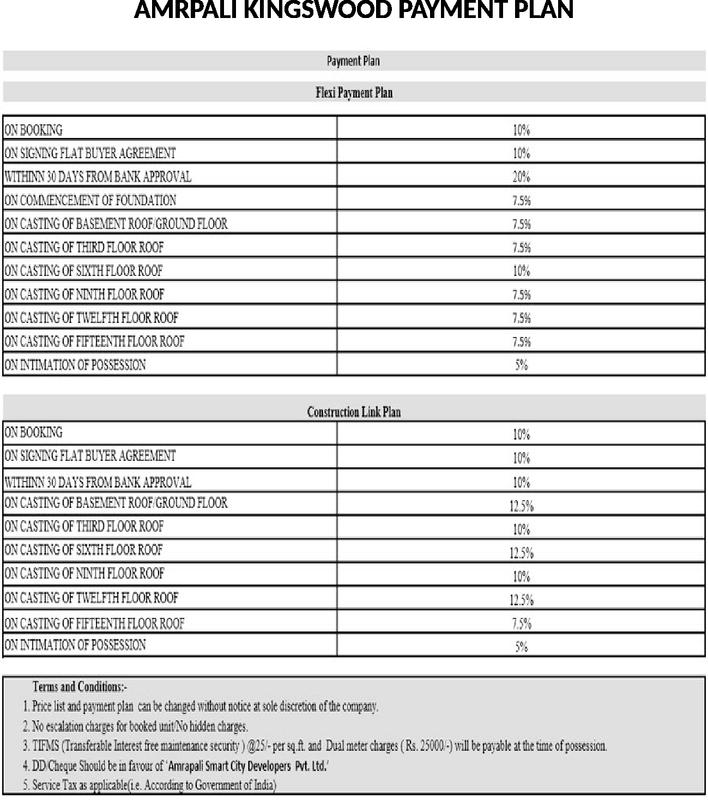 With metro slated to come near the project, this will be one of the most sought after projects in Greater Noida West. 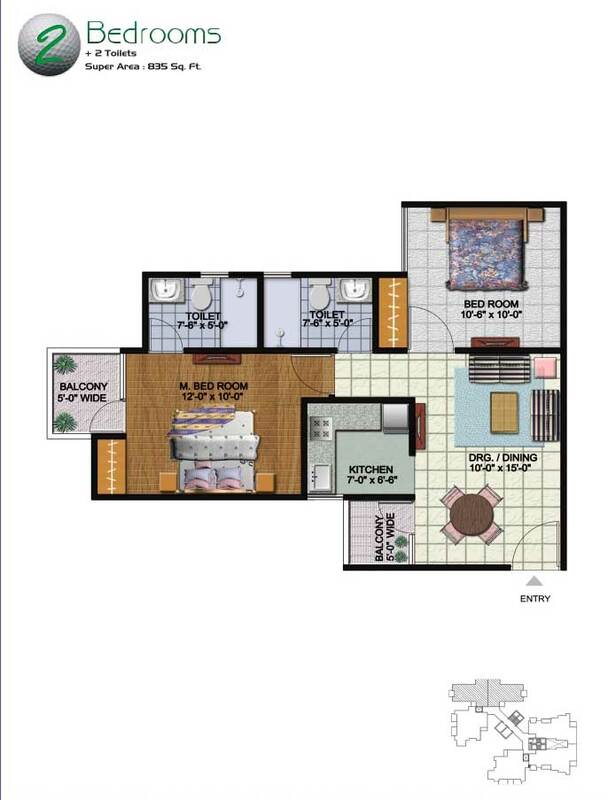 2 BHK + 2 TOILETS - Saleable Area: 835 Sq. 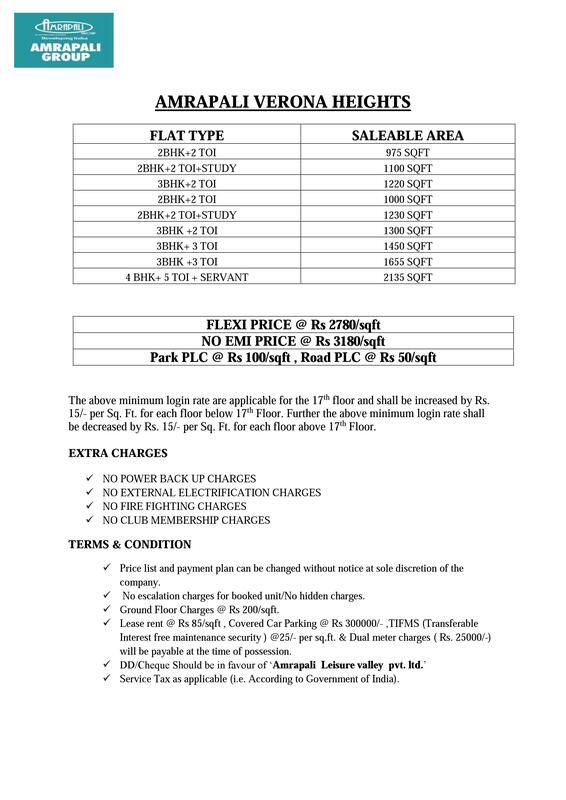 Ft.
2 BHK + 2 TOILETS + STUDY - Saleable Area: 945 Sq. 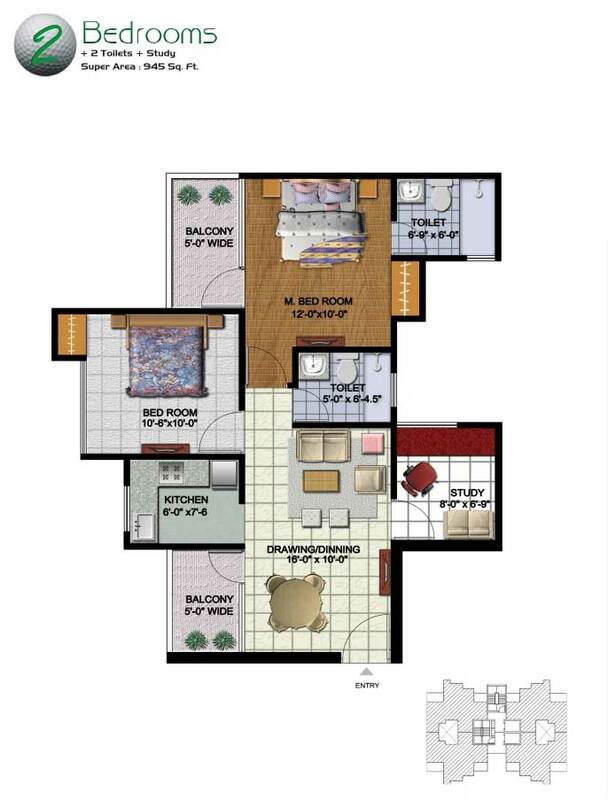 Ft.
3 BHK + 2 TOILETS - Saleable Area: 1115 Sq. 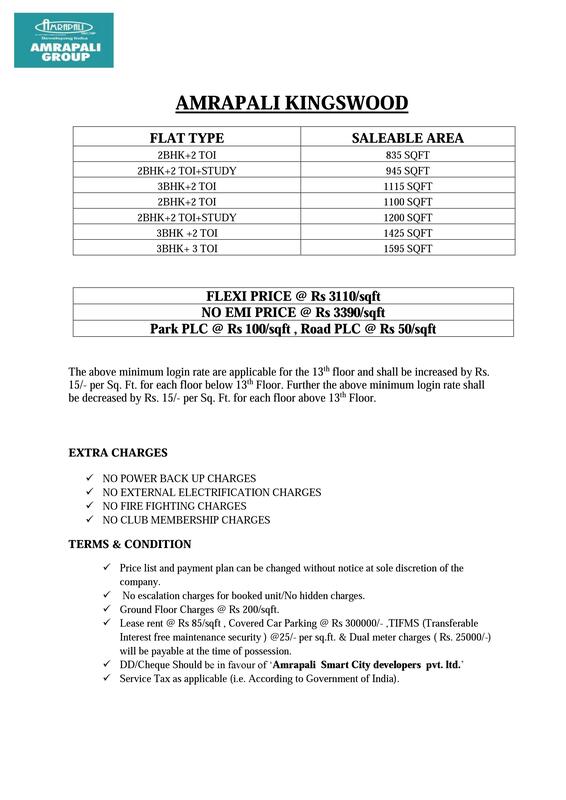 Ft.
3 BHK + 2 TOILETS (Option-01) - Saleable Area: 1115 Sq. 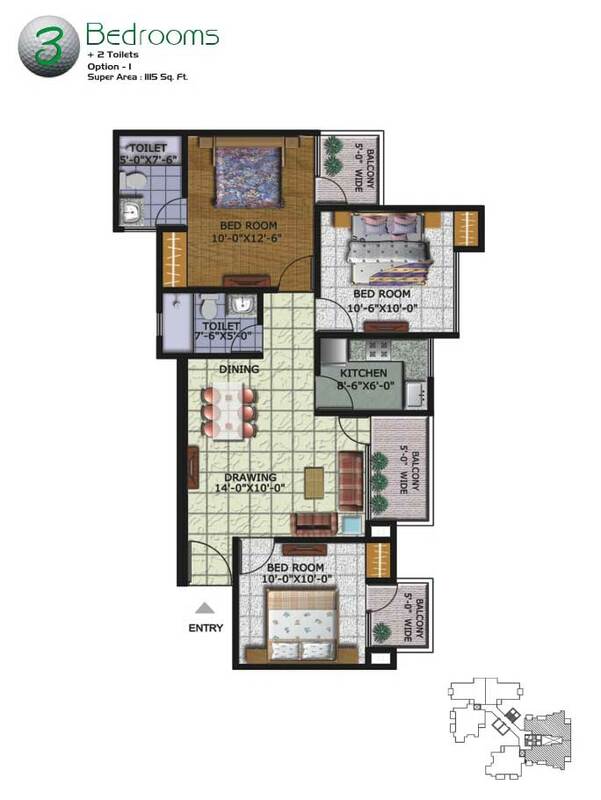 Ft.
3 BHK + 2 TOILETS (Option-01) - Saleable Area: 1425 Sq. 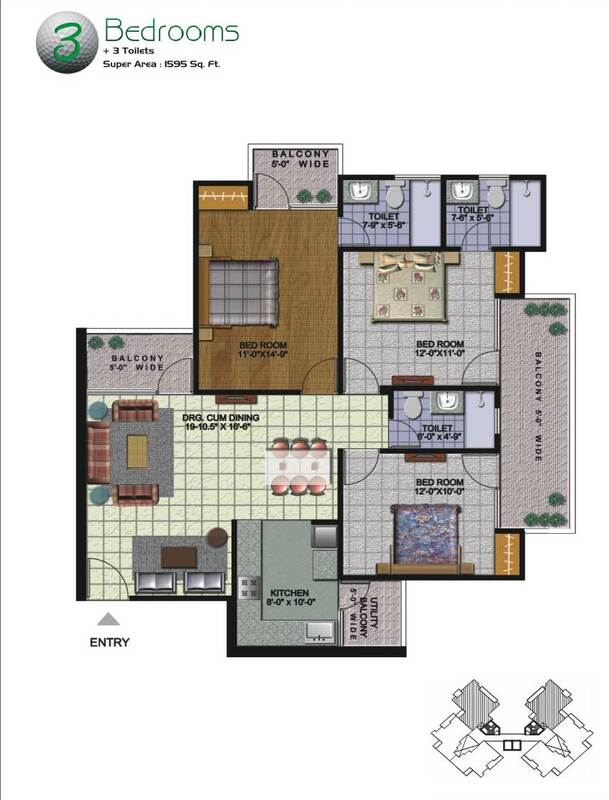 Ft.
3 BHK + 2 TOILETS - Saleable Area: 1425 Sq. 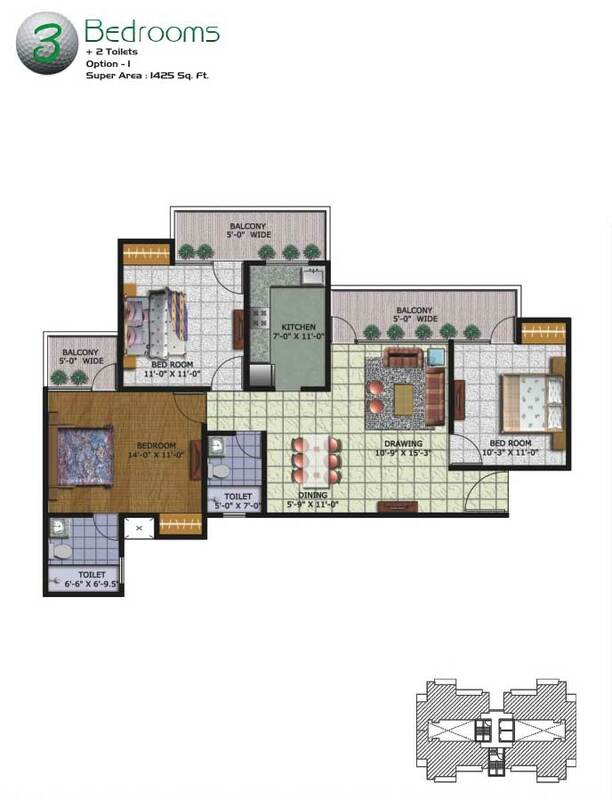 Ft.
3 BHK + 3 TOILETS - Saleable Area: 1595 Sq. Ft.